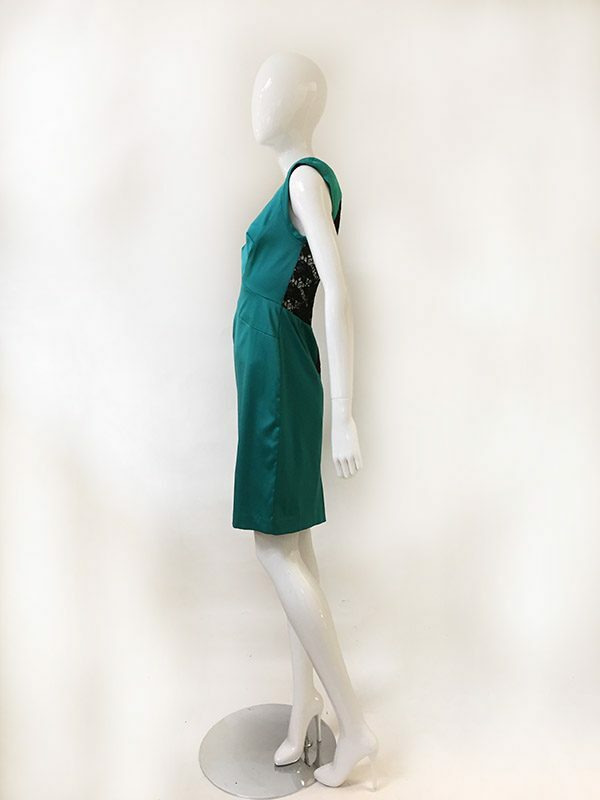 Style: Sleeveless, Back Zip, V Neck Dress With Back Lace Inset, Shoulder Pads, Back Slit, Asymmetric Front Seams. 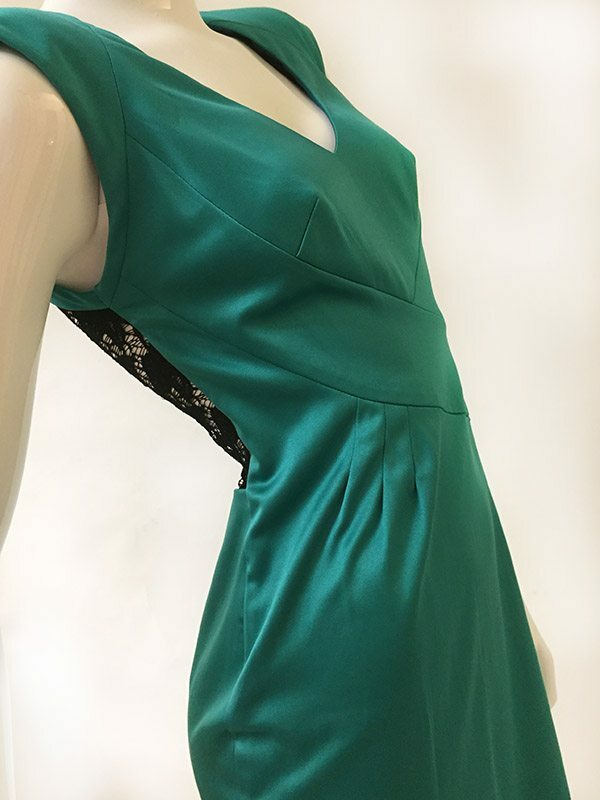 Black Halo “Jagger” teal dress with black back lace inset. 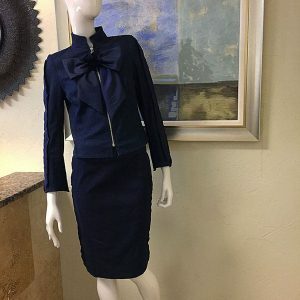 This size 4 dress has front asymmetric seams as well as an exposed back zipper. 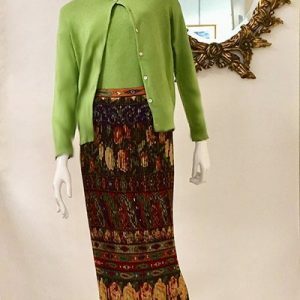 Beautiful color and beautifully detailed dress!